The AL-i (pronounced Ally) is an SOS button which works with any Companion App. 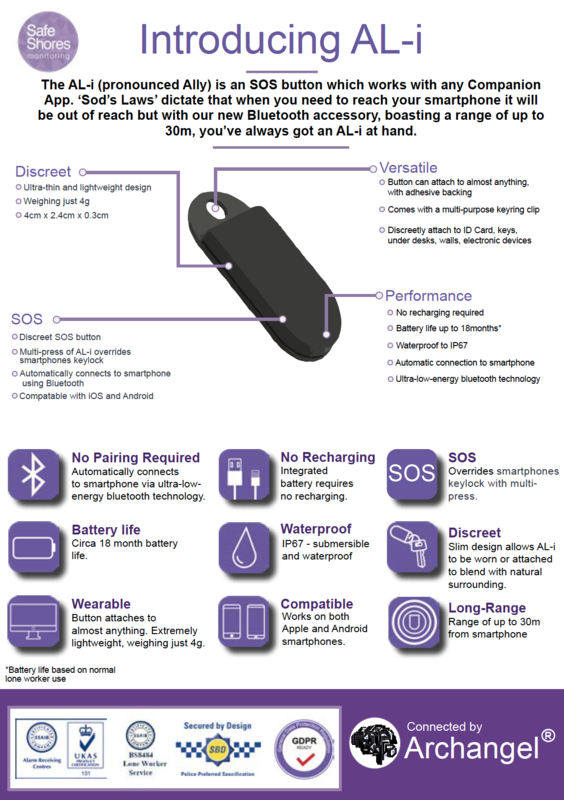 ‘Sod’s Laws’ dictate that when you need to reach your smartphone it will be out of reach but with our new Bluetooth accessory, boasting a range of up to 30m, you’ve always got an AL-i at hand. If you download our brochure then we may contact you in relation to our products and services. Download our AL-i product guide to learn more about our lone worker services and how it might benefit your business.